Today our children know more than we think they know regarding our world of technology. Our children are exposed to an ocean of data, communications, and media. 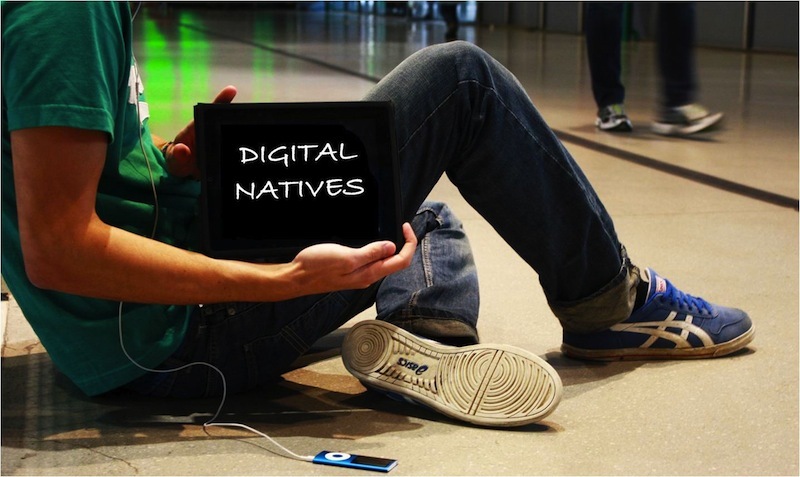 This generations “digital natives” consume, absorb, and navigate everything in the digital spectrum. In existence is the belief that our children are in danger of being overwhelmed by this 24/7 unfiltered digital world without our guidance. Today, television continues to reign supreme in children’s media lives. It is the medium children continue to use most frequently and appears to be the mainstay among children under two-years old. Research, conducted by Common Sense Media, states that babies and toddlers have started experimenting with mobile media over the past two years. Another alarming fact indicates that our nation’s children spend more time with media and digital activities than they do with their families or in school, which profoundly impacts their social, emotional, and physical development. Common Sense Media rates, educates, and advocates for kids, families and schools. Information regarding parenting, media, and everything in between can be retrieved from Common Sense Blog. Common Sense Media is an independent nonprofit organization that works with parents and educators to improve kids’ lives in a world of media and technology. Technology access in the 21st Century has created an increasing demand to prepare our students to use technology safely, legally, ethically, and socially in our school systems. Let’s face it…even good students make bad choices. Hand a student a marker and he may tag inappropriate words on a desk or inscribe negative comments about a “frienemy” on the bathroom wall. Hand a student a pair of scissors and she may cut her neighbor’s hair or shirt. The other day I talked to a 3rd grade class in hopes of getting to the bottom of which student was placing notes around the classroom that read, “Watch Your Back”. Should we ban “school tools”? Can you imagine the classroom without these means? Now incorporated into “school tools” is technology. There are pros and cons to this truth. Regardless of whether digital devices are permitted at school or not…particularly the almighty cell phone, students turn them on when they exit the campus gates. The school is responsible for a student’s well-being from the time the student enters school doors in the morning until the time he/she arrives home. This regulation has created some stir with administrators, but as I like to say, “It is what it is.” We know that as soon as our students end their school day, and exit campus, they “power-up” their devices. This mere fact is rather difficult to ignore. For that reason alone it is important to teach responsible Digital Citizenship to prevent inappropriate usage. It has now become another objective in our job description as educations: To teach students how to use digital devices for their benefit (rather than to their detriment). 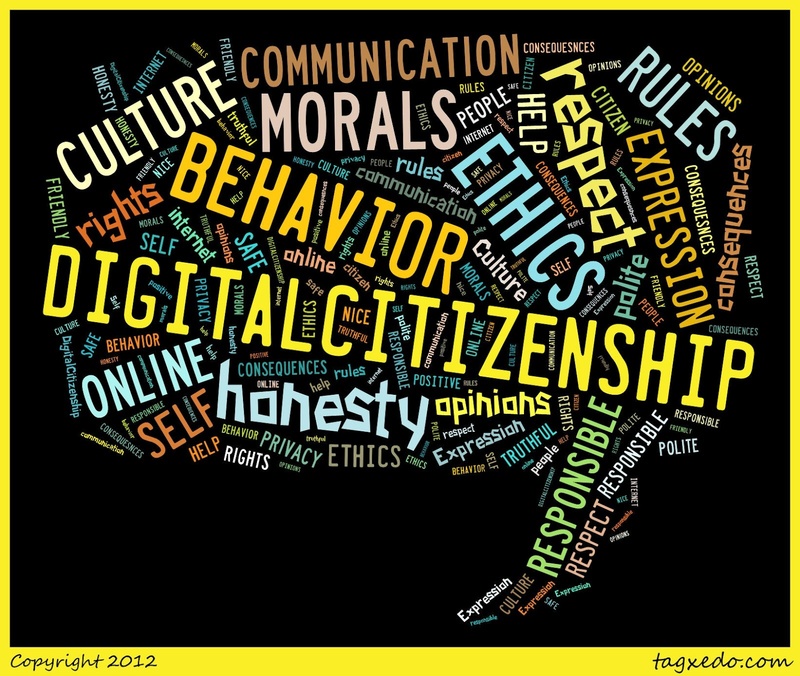 Digital Citizenship is defined as the norms of appropriate, responsible behavior with regard to technology use. 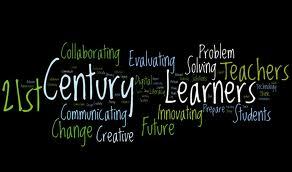 Today this is important as technology is a major factor in 21st Century Learning. 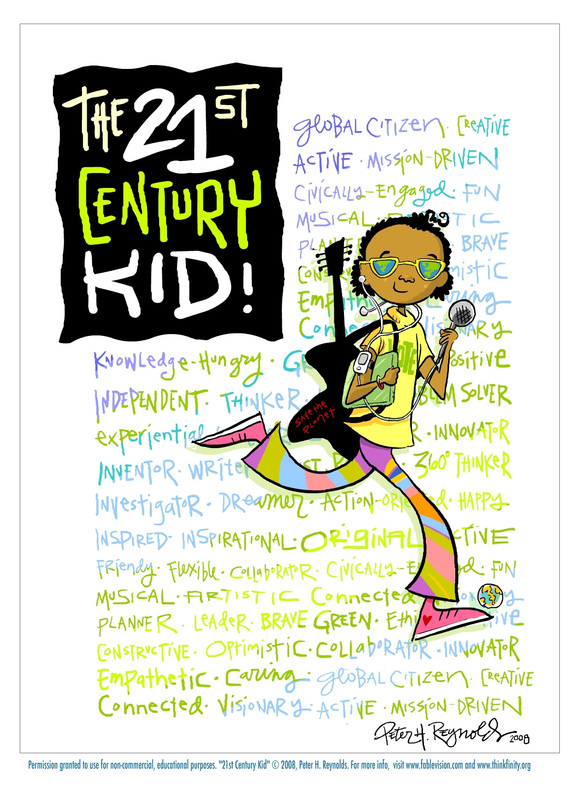 In today’s 21st Century classroom the teacher is no longer the deliverer of information but rather serves as a facilitator who sets project goals, provides guidelines and resources, and is actively mobile during student collaboration. Instruction, pedagogy, professional development, students and teacher motivation, student-teacher roles, learning experiences, and relationships will be the driving forces of a fundamental shift to the every day use of technology as a best practice in K-12 education. A playlist of students learning with technology integrated lessons. My thoughts are change is constant. How we deal with change is up to us. We can welcome it, embrace it, and even be thankful that change rescues us from being static. There are some who will resist change and suffocate in monotony. Human nature tends to prefer a comfort zone of sameness. Thus change creates a certain amount of discomfort and ambiguity. Change is happening; you can’t stop it; all you can do is figure out what kind of change you want, and be ready. The Information Technology Revolution reminds us that every minute, of every day, change is upon us. How much “screen time” is too much? At what point do the harms of digital devices outweigh their benefits? When is it time to disconnect? How much video game time is too much? If left alone, many kids would have no problem spending most of the day building and exploring Minecraft. While this type of gaming does have its benefits, most adults will agree that a day-long gaming marathon is excessive. At what point should you pull the plug on playtime? Are social skills at risk? Does excessive screen time cause kids to miss out on learning how to deal with important social scenarios? How harmful is the lack of real, face-to-face interaction to their social development? How do you ensure safety on the Internet? How do you protect your children and stay Web-safe without infringing on their browsing privacy? Is traditional learning at risk? By eliminating the traditional methods of teaching, are their developmental learning tools suffering in some way? Can kids still find fun without technology? What happened to the “traditional” ways that kids play? Can kids still independently find amusement, and can we trust them to find creative and productive ways to stay entertained?